This week, I had the pleasure of interviewing Daniel Akah, a senior here at Burnsville High School. The reason why I chose to write about Daniel is that he is actively involved in BHS activities, is a friendly person and is extremely talented. Since Daniel is in many clubs and groups, he meets a lot of people. “I love Daniel, he’s really funny and I enjoy being around him.” Grace Gothard, a friend of Daniel’s told me. “I never see him being negative, he’s always trying to find the positive in every situation.” said Jayde Grass. Daniel does a lot in BHS, and his hard work really does pay off. When I asked him his plans, he told me “I hope to attend either the [University of Minnesota] or to Chicago, I’m undecided.” He also told me that he wants to study pre-med, but would like to further his career in music. Daniel Akah is also a fantastic musician. He sings, acts, and plays some instruments. “My favorite class is definitely Freestyle.” He told me in his interview. Freestyle is the highest choir you can get into at Burnsville, and he was a member starting from last school year. He also has played many lead roles in the theatre guild, his personal favorite being Seaweed J. Stubbs from Hairspray. 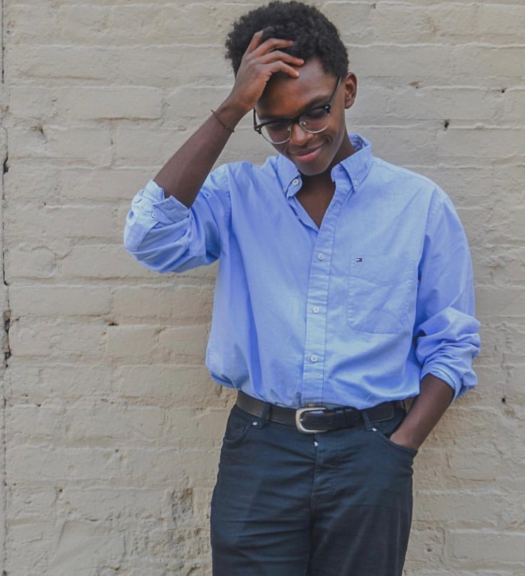 “Daniel is an amazing kid, I thoroughly enjoy his presence and he’s always on point!” said Amy Stead, an English teacher here at Burnsville as well as the theater director. All said, Daniel is a great representation of what makes our school great.